People are fooled by words. People thought they were joining a church or a group focused on a god, but instead they joined a maritime operation – a War Ship or Ship of War. 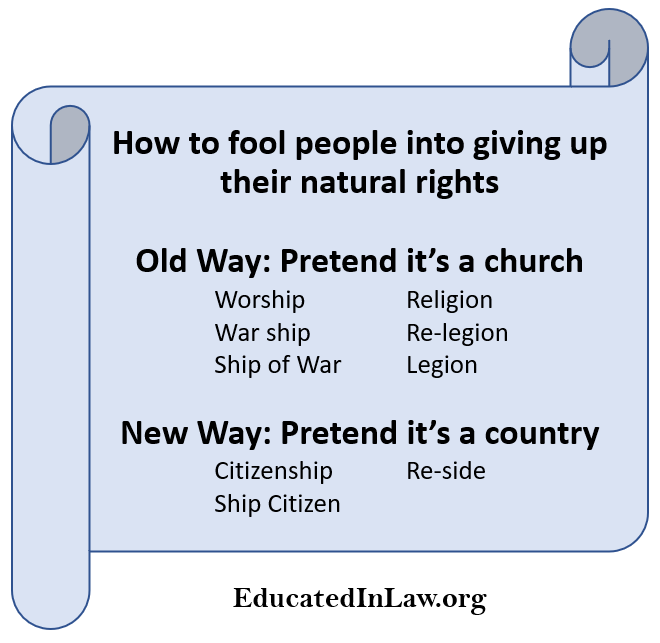 Similarly, today, people think they’re joining a country, but they are consenting to citizenship — Ship Citizen. Be sure to read Operation of Every Single Claim in a Nutshell.